홍익대 한글꼴연구회 활동을 하면서 다양한 표정의 탈네모틀 서체와 세벌씩 조합형 서체를 만들었습니다. 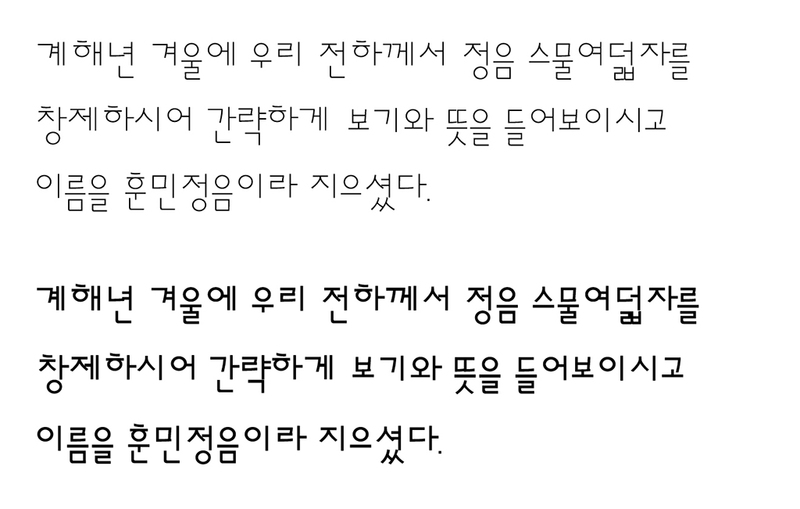 세벌씩 조합글자는 한글의 원리를 시각적으로 구현한 방식의 글자로, 첫닿자(17자), 홀자(21자), 받침(27자)을 각각 따로 디자인하여 한글이 만들어 낼 수 있는 모든 음절을 표현할 수 있도록 한 것입니다. 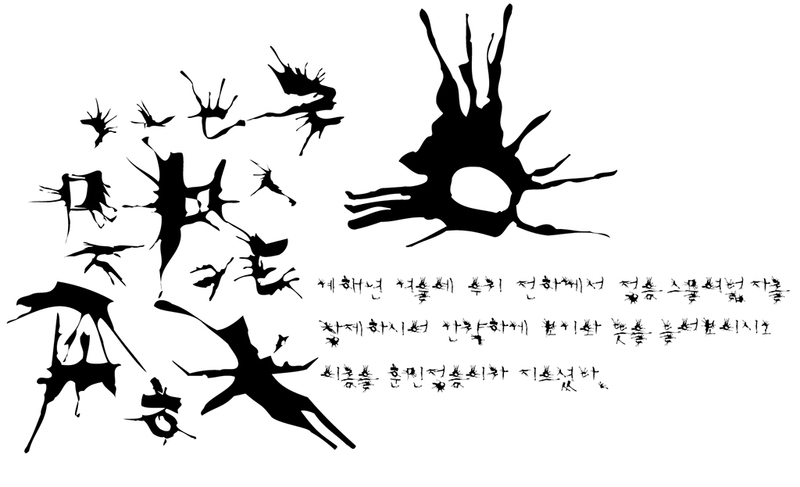 As a member of the <Hangeul Typeface Design & Study Group>, Yanghee enjoyed designing creative and unique fonts. 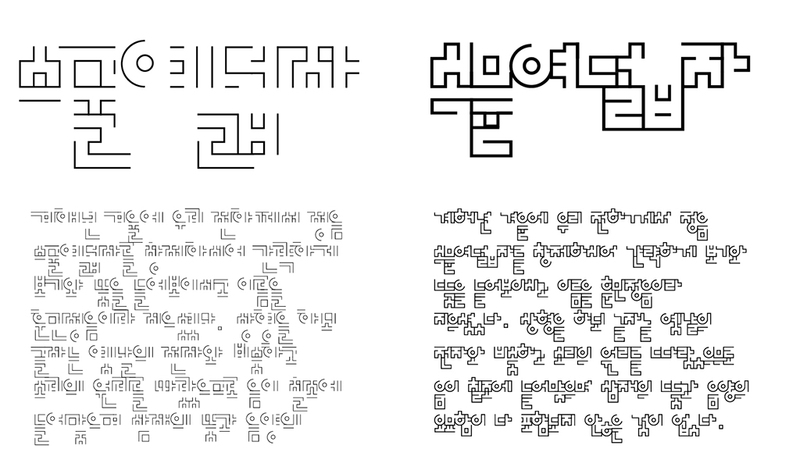 After then, her attention was more focused on the typeface for body text through study about the history of Hangeul. 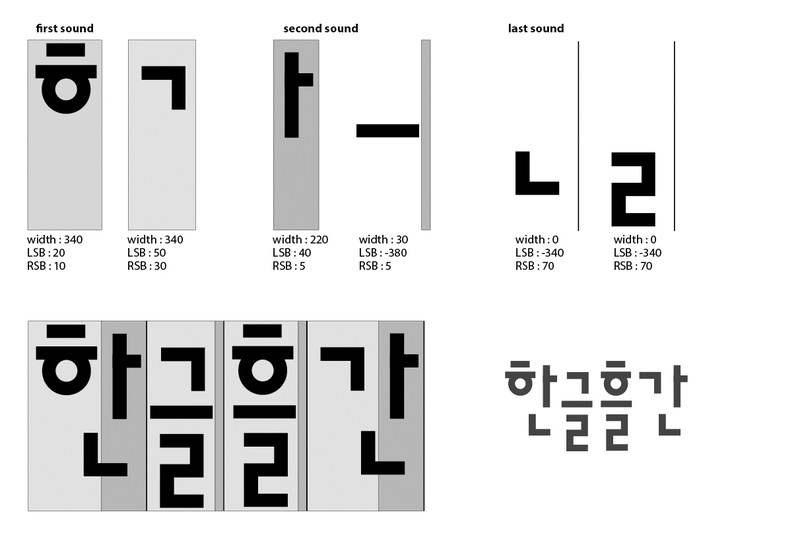 Component combining style Design consonants and vowels for the first sound(17 characters), the second sound(21 characters) and the final sound(27 characters). Then adjust each character’s spacing. Just type, and it will show all existing syllables in Korean, even not existing ones. 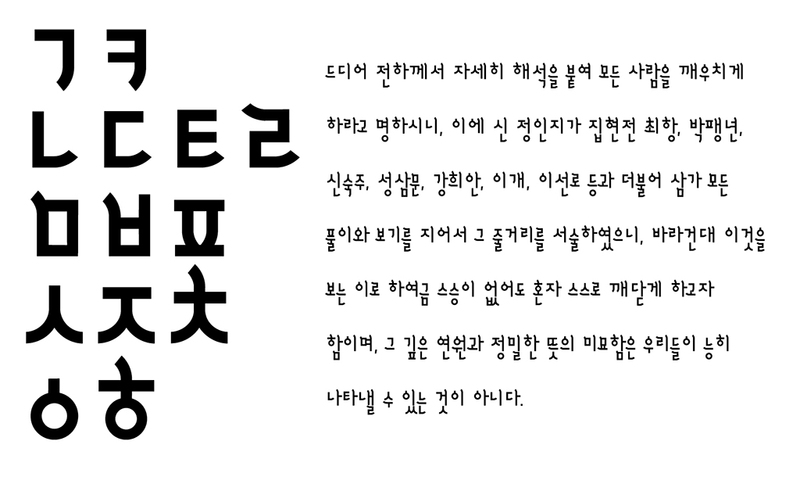 Line-che 1999 Usually, component combining style of Hangeul typeface is regarded as for display. She tried to make Line-che looks comfortable so that it could be used for the long sentences. Miro-che 2000 It was inspired by a maze for exploring style. Hohup-che 1999 Blow ink to make shape of characters. She found proper shapes in some unexpected moments. Yam-che 2001 This typeface has exaggerated serif. All the characters are designed by combining very geometric straight and circular shapes.